Preheat oven to 400 degrees, and, if you made your baked apples well in advance (as I did), heat them for about 10 minutes (at 400 degrees), or until bubbling. Making the Custard – Using a wire whisk, beat the eggs in a small mixing bowl. 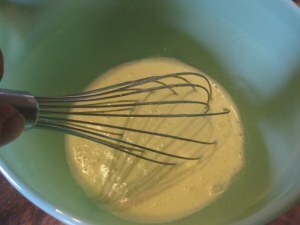 Then whisk in the cream, followed by the sugar, and finally the whiskey. 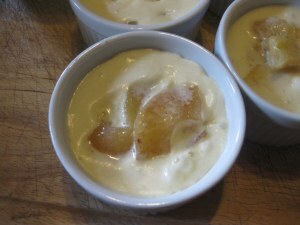 Filling the ramekins – Place about 10 apple slices in each ramekin. Pour on the whiskey mixture, filling to just below the rim. Bang the filled ramekins down a few times to eliminate air pockets. 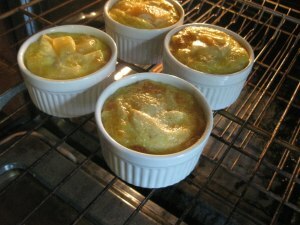 Baking (15-20 minutes at 400 degrees) – Set the ramekins on the upper middle rack of the preheated oven. Bake for 15-20 minutes, or until the custard has nicely puffed and turned golden-brown. Serving – Let these little desserts cool on a wire rack for 10 minutes, then serve them warm, with or without a dollop of vanilla ice cream. 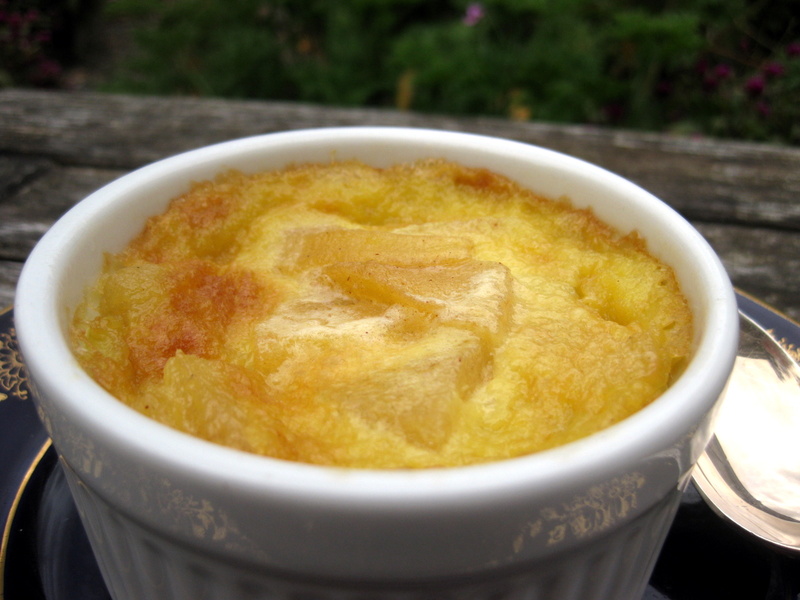 If Apples in Jack Daniels Custard sounds appealing to you, mind clicking the “like” button below? Be sure to post a comment, too. OMG This sounds absolutely wonderful-definitely on my list of recipes to try! At last I have a reason to buy Jack Daniels! Kevin, sounds out of this world delicious. If I don't make it, a friend of mine will. Katreader, Adele, Eric – Thanks for commenting! This is one of the easiest yet most elegant desserts I've come up with. Looks and sounds fabulous, Kevin. How cool that you made it in little ramekins. I love this recipe! Your recipes are wonderful and I'm going to make this too 🙂 Thank you. Justin and LilyBiscuit – So glad you enjoy the recipes here. I enjoy creating them…probably because they involve much, much taste-testing! Kevin, this is the best apple dessert I've seen in ages! I can't wait to try it. Thanks for sharing your recipe. This sounds incredible. 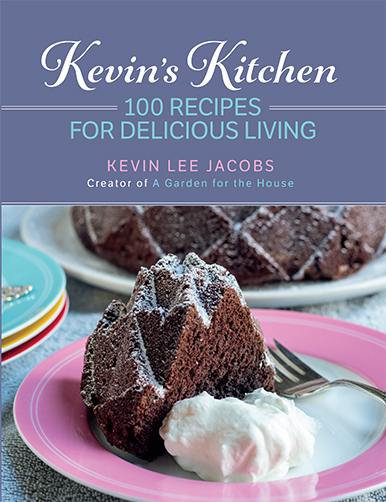 Thank you for sharing all the good stuff with us, Kevin! I am thinking about other liquors one could use in this recipe: Amaretto? Tuaca? I was fortunate enough to get a taste….truly amazing!!! Robin Cogburn – welcome! Tuaca…what a great idea! GothamDan – You walked through my door at just the right moment…glad you were hungry! I'm going to try it with baked pears instead of the apples, what a great dessert for this time of year! Thank you, Kevin! Lisa F – By all means try it with pears. Maybe you can let us know how it works out? Had too many pears so I used them with pear brandy instead of Jack Daniels. Yummy!!!! This is a keeper recipe. I'm certain any fruit with liquor of some sort will work wonderfully. Off to purchase a duckling to try cassolet. kylie8cake – You're welcome. Hope you'll try it and report back! This sounds absolutely wonderful! Would it be okay with you if I shared this link on the official Jack Daniel’s Tennessee Squire site? All of our members are devoted to everything Jack Daniels, and I’m sure they’d love this recipe! Found this recipe last night and almost went out and got a bottle of Jack to make it right then! Thank you for sharing it turned out great and was pure deliciousness. Ellie – The dish is even better than it sounds. And yes, as long as you provide a link to this website, you can share my recipe on the official Jack Daniel’s Tennessee Squire site. 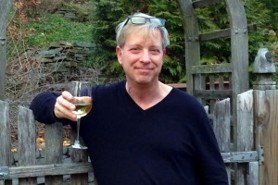 K Holtzman – So glad you tried — and liked — this recipe, and were kind enough to tell me! I just happen to have a bottle of Jack in the house and some nice, organic apples, along with local raw, whole milk. So I’ll take the cream off the top and make this – – can’t wait. Nancy – Ooo, this will be especially good with raw, whole milk. Enjoy! What if You put some sugar on top when done and use your handy torch to finish off this dish. That sounds real good to me. JoAnn – If you sprinkle sugar on top and then torch it (ala creme brulee), let me know how it works out for you. My only concern is that some of the apple pieces might get burnt in the process. Hi , I just wondered if this is made with made with fresh peeled apple or pre-cooked apple, I have a part bottle of Jack Daniels waiting anxiously for your reply, thanks for sharing your recipe I can’t wait to try this!!! Hi Scott – It’s made with fresh peeled apples which have been baked. I hope you’ll try the dish — it’s incredible! Hi Suzanne – Great minds think alike. I made this (yet again) for a dinner party last night, too! Sounds wonderful. Need to try this with this year’s first batch of North GA apples. Funny, people used to laugh at me for using Jack in cooking, until the day I found a Jack Daniels Cookbook at Cracker Barrel. I had been using for years, the way it suggested. I use it and other forms of spirits to flavor everything from burgers to Christmas candy. Love your site and FB page…keep up the good work! Is it safe to quadruple this recipe? A dinner party of 14 tomorrow and this dessert will send them home happy. Hi Cynthia – You could definitely quadruple this recipe. Enjoy your party!